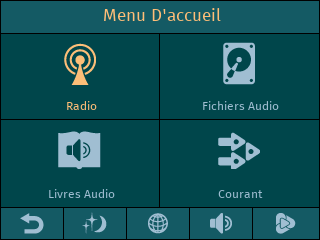 Here is one more audio player based on the Raspberry Pi 2 platform. Please use the sidebar to navigate through different chapters of the doc. and woodware. 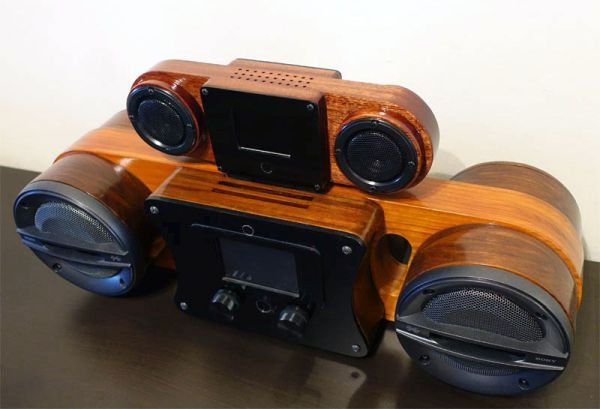 All three components were created for this project from scratch. * It is based on the popular single-board computer Raspberry Pi 2. * High quality audio achieved by using integrated Amplifier module HiFiBerry Amp+ and Sony speakers. * This is application written in Python. * Peppy provides Graphical User Interface for audio players running in a headless mode. Currently Peppy supports 'Mpd' audio player. 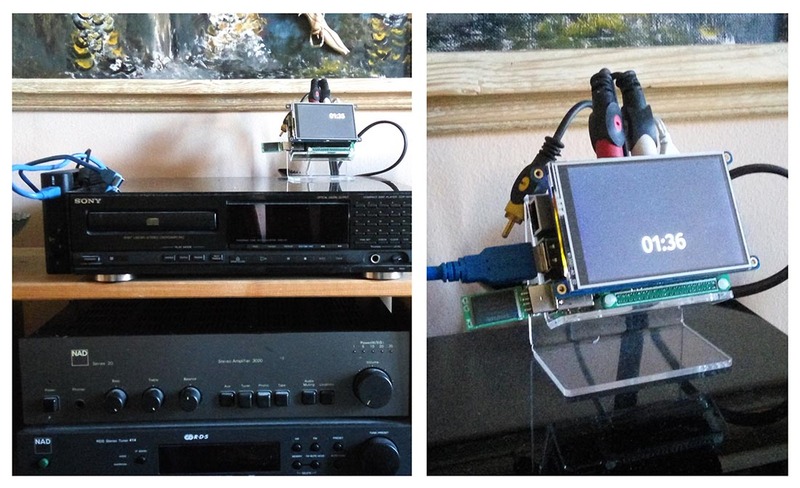 * Embedded Web Server allows to control audio playback from any Web Browser. * The default touchscreen resolution is 480*320. This is the resolution of the TFT used for this project. Though UI is dynamic and can scale to any screen resolution. * Currently Peppy has only Internet Radio functionality. In the future releases support for playing audio files and streams will be implemented as well. 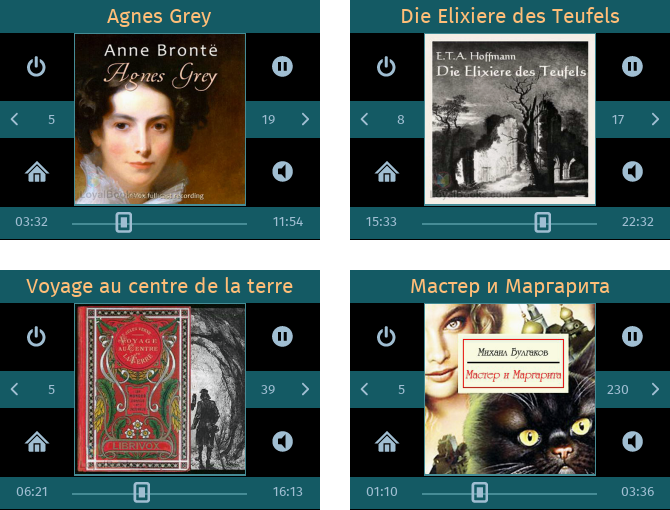 * By default Peppy has playlists containing free radio stations for English, French, German and Russian languages. 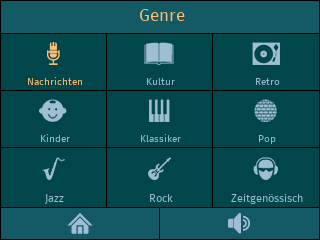 Users can add their own stations to the playlists. * Made of solid wood (Cherry and Walnut). * Natural finish - the variation of French polish. hardware, software and woodware fro Raspberry Pi platform. Here is the new member in the family of Peppy Players. It's called µPeppy. This is completely portable player - it can be powered by battery. - It's based on Raspberry Pi Zero. 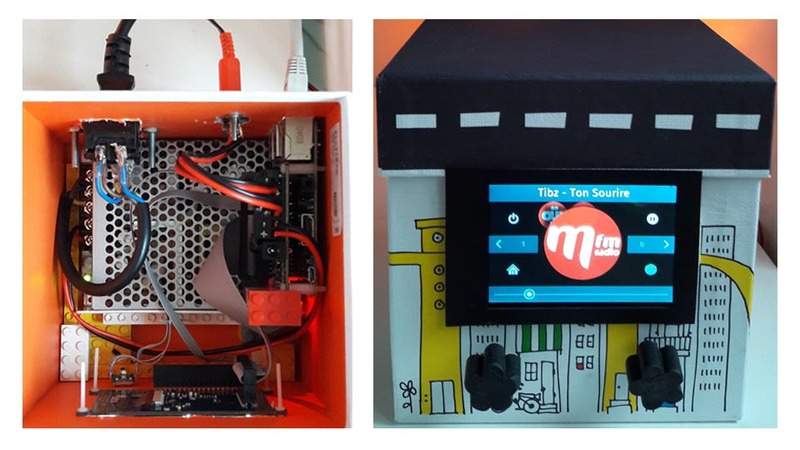 - Pimoroni DAC was leveraged to achieve high quality audio. Web Browser running on any device in the local network. The software used for µPeppy is the same as for the previous player model. Both players use the second release of the Peppy software - Michelangelo Edition. and 'mplayer'. User can switch from one to another by changing configuration file. 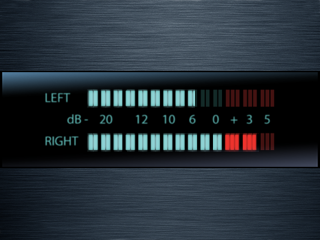 - Added VU Meter screensaver. - Bug fixing and code cleanup. Added File Playback functionality. Both supported players 'mpd' and 'mplayer' provide file playback on Linux and Windows platforms. Updated Logo screensaver. 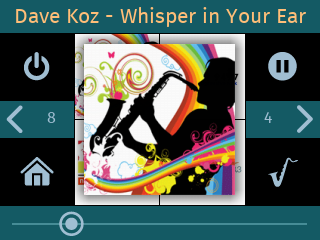 In the File Playback mode it will display current album art. Updated Slideshow screensaver. In the File Playback mode it will display images from art folder. Bug fixing and code cleanup. 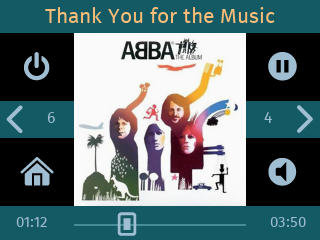 - Implemented playback of playlists (m3u and cue). - Added support for 'vlc' player. Now Peppy supports three popular players 'mpd', 'mplayer' and 'vlc'. 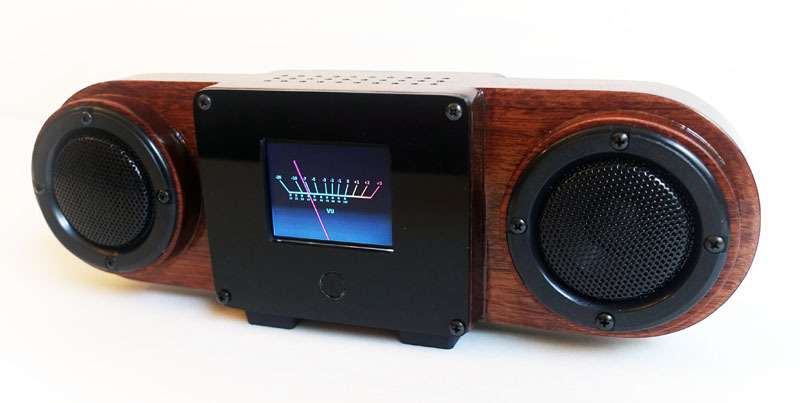 - Redesigned communication with audio players. - Added support for Streaming server and client. 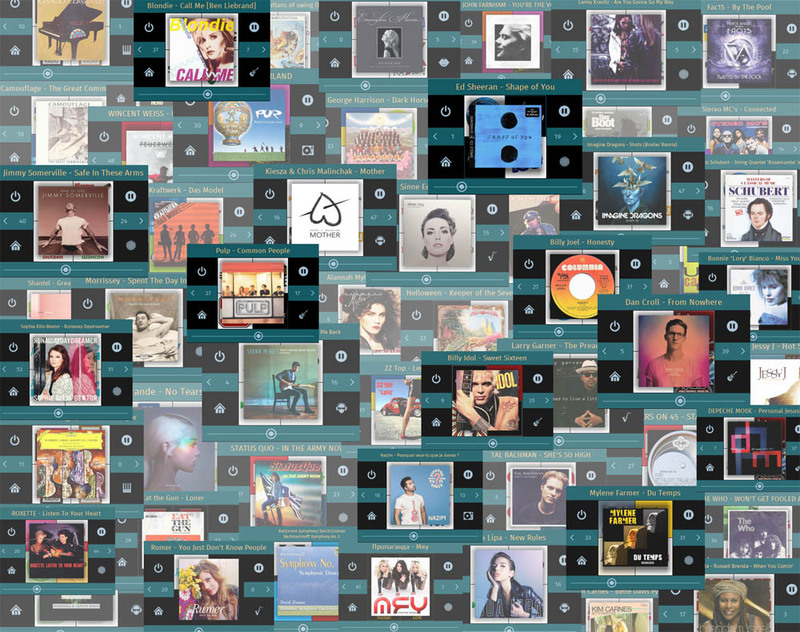 - Updated web radio playlists. Linux or Windows platform which supports Python and Pygame library. 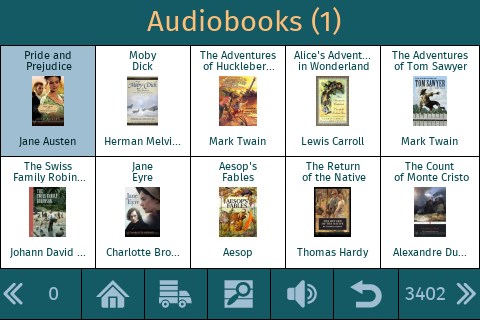 - Added ability to listen to audiobooks. 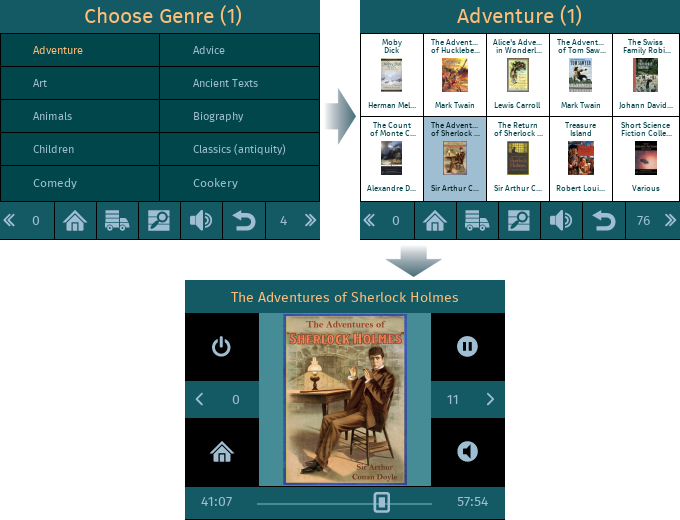 Books can be selected by genre and author. - Redesigned screens to simplify navigation. - Added more information to the wiki pages. Switched from custom WebSocket implementation to the Tornado Web Server. the base for the further Web UI improvements. Christie' to start audiobook playback. almost in two times for all genres and languages. using Web UI, remote control and voice commands. 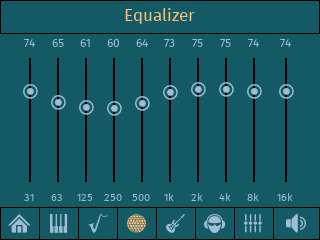 New version (Vermeer Edition) of the Peppy Player was just released. - Replaced HiFiBerry Amp+ by HiFiBerry Amp2. That solved audiobooks playback issues. - Added CD Player mode. - Made Home menu customizable. - Added configuration files for screensavers. 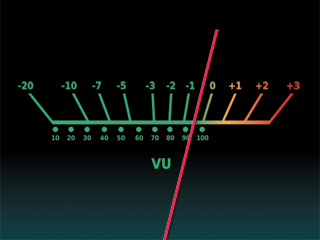 - Refactored VU Meter screensaver. - Provided disk images to simplify player installation and configuration. 1. if I use the pre created disk image is there a way to exit to the OS? I can't figure out how to configure the network if I can't get to the OS. The expert method works but I have had some issues with the splash screen and the wireless remote. Peppy player is running as a regular application under Raspbian Stretch Lite OS. Therefore you can login to it using username pi and password Vermeer (assuming that you used disk image). You can do that using SSH for example by running 'putty' program. If you just connect Ethernet cable to the Raspberry Pi's connector you don't need any network configuration. The player will work right away. So I believe you are talking about WiFi configuration. Though you cannot control player while splash screen is visible. It will be the same without splash as well but instead of splash screen you will see just a black screen. While you see it you cannot use the remote control. New version (Rubens Edition) of the Peppy Player was released today. - Streamlined the process of adding new languages. 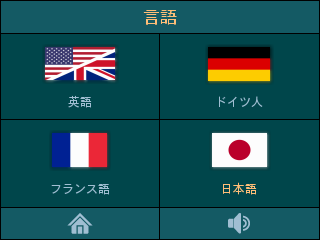 - Made Screensaver and Language menus customizable. - Implemented Weather forecast screensaver. - Added information about connecting Bluetooth devices. Thank you for creating Peppy, it's just what I've been looking for. Is this post the best way to get support? It shows the mp3s in the playlist but won't play them. How can I add podcast urls to Peppy? I check this forum periodically so it's OK to post questions here. Regarding playlists, I'm afraid currently Peppy supports only files located in the same folder as playlist. that files with path will work as well. Adding links is a manual process. 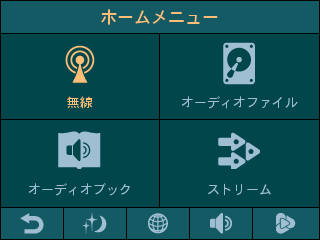 Then you can switch to the Stream mode from Home menu and select your podcast from menu. How easy would it be for you to add the option of playing an album by tapping and holding the album for a second, (or artist) and then automatically playing albums and artists in alphabetic order from there on? Many years ago I used a DOS player called Mpxplay that worked somewhat like this. Perfect for in car use. and hold for a second then player will start playing all files in that folder automatically. in folders? Should Peppy play only files and ignore playlists? Perfect. I think playing files in a folder alphabetically without playlists is the way to go. To that end I've always named my files beginning with the track number, and albums with the year. Maybe a setting for 'ignore playlists'? The ability to just find an artist, tap on it and play sequentially all their albums would be great. 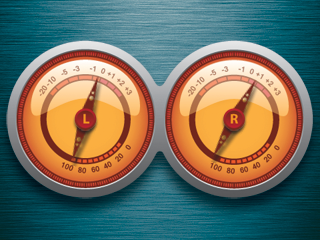 For in-car use the least amount of navigation - particularly scrolling, the better. changes so I'll do that in coming release. Thanks for giving consideration to my suggestions. Here's another - a GPIO pin to initiate a clean shutdown? I'm using a hard disk so I'd like a clean power off with the cars ignition. Do you mean to send 1 or 0 to one of the GPIO contacts upon shutdown? which will switch off +12V from hard drive? album art for each song as well. What I envision is a relay to immediately pull a GPIO input low on ignition off, and a timer to remove 5V power supply after 60 seconds or so. The detected low immediately stops play, then initiates shutdown. On ignition on, the relay energizes removing the low, and power is applied to start normal boot up. I played around with Kodi, even with estouchy based skin controls were too small on 3.5" display, OK on 5" but I like the simplicity of Peppy and the size of the 3.5" display works well for a car dashboard. and start shutdown procedure when the signal received. That's also doable. 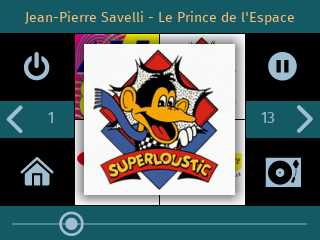 New version (Velázquez Edition) of the Peppy Player was released yesterday. 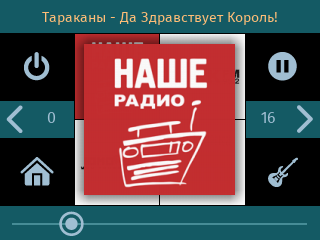 - Added pagination for radio groups. - Provided new disk image for Waveshare 5" touchscreen. 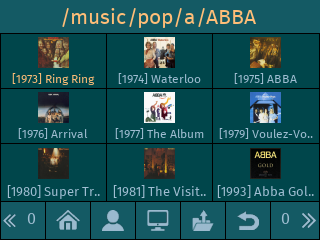 - Added support for m3u playlists with absolute filenames. I've got a small problem - on my LCD the colors are inverted. My LCD is a clone of the Waveshare 3.5 (A) like the one you link to in github, and it works well with the Waveshare 3.5 (A) Raspbian image. However when I use your Waveshare image it installs drivers for the (B) version - the line in config.txt is dtoverlay=waveshare35b, not dtoverlay=waveshare35a as it should be. I tried changing this line but got just a blank screen. Adding dtoverlay=piscreen,speed=16000000,rotate=90 to config.txt as per the Waveshare installation instructions gives me the correct colors, but the instructions assume LXDE is installed so I can't get the touch to work. I would recommend to use headless disk image and install required driver on top of it. Using the headless image, the display driver uses a script that installs xserver, after that all I get is a console - Peppy doesn't start. If I use the waveshare image and change the config.txt line dtoverlay=piscreen, I get the correct display but touch is calibrated incorrectly, and I cant run the calibration without x server running. 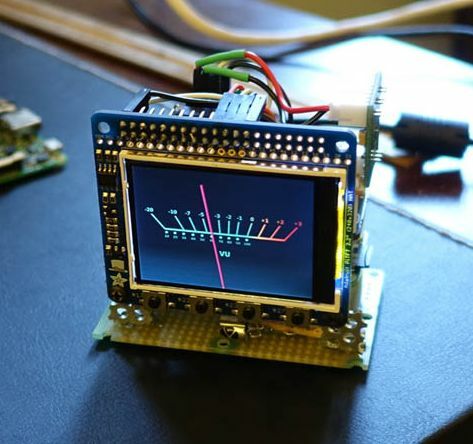 Maybe my only option is to buy a genuine Adafruit display?